Ahead of the rumoured launch of the more affordable Pixel 3a series, concept artist Phone Designer has revealed a dramatic new take on the next-generation Pixel 4 with a much smaller screen to make it more manageable one-handed. Phone Designer shared the high-resolution concept images on Twitter. These follow the same industrial design language that we've already seen in a slew of recent leaks around the so-called Pixel 4 and Pixel 4 XL. The edge-to-edge display would allow Google to squeeze a decent sized display into the small body of the mini Pixel 4. Unlike the whispers around the Pixel 4 XL, which looks set to ship with dual-front and rear-facing cameras, there is only a single lens on the front and back of the smaller Pixel 4, likely because of the restrictions that such a small physical footprint brings to a smartphone. 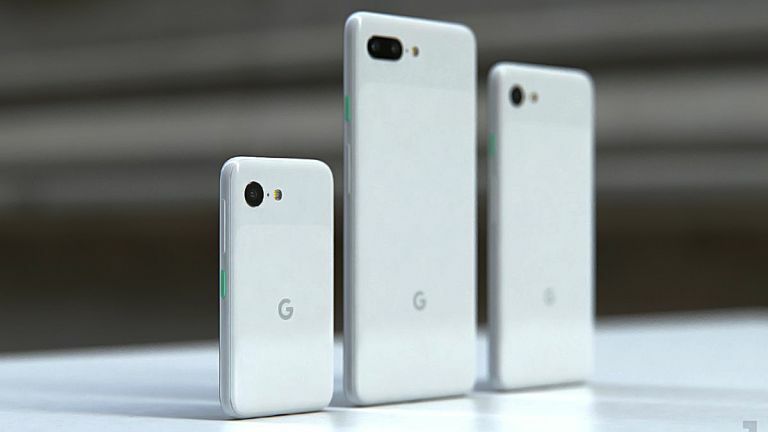 We've haven't seen any concrete evidence that Google is actually building a smaller version of its Pixel smartphone for the upcoming Pixel 4 range. However, there is certainly a gap in the market for a modern, flagship handset just like this. Smartphone display sizes have been slowly increasing in size over the last few years. Indeed, Apple launched the iPhone SE to specifically address this – pouring the same flagship rear-camera, always-on Siri, Live Photos, Apple Pay and other features that had debuted with the flagship iPhone 6S the previous year into the same industrial design as the iPhone 5S, which has a four-inch screen. Sony, which has previously always launched a "Compact" version of its flagship smartphone for those who prefer a lower price-point and a smaller footprint, has started to move its handsets to a 21:9 aspect ratio display. The very tall screen makes the idea of a small smartphone kind of redundant.